"Have you ever been standing at the dive site asking yourself how to correctly set your brand new computer?” A lot of divers have been in this situation and would have done anything to avoid it. This is exactly why COMPUTER DIVING is such an important course. 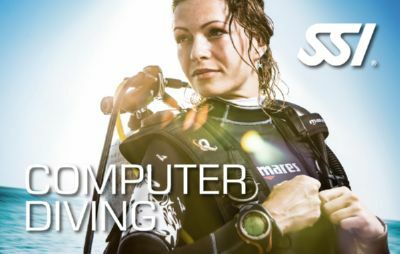 It is your chance to learn and understand diving computers. Learning how to plan your dive with a table is extremely important. It is how you develop an understanding of the decompression theory. But in real life, divers do not dive a table profile. The modern diver does multi-level diving which means that the dive incorporates different depth levels. These kind of dives can only be planned with a special type of table or a dive computer. Dive computers make diving safer and easier if you know how to set and use it correctly. his program provides the skills and concepts required to safely and comfortably dive while using a dry suit. You will learn the special requirements for dry suit diving, how to use your new equipment, the benefits of a dry suit, and how to deal with emergency situations that are unique to dry suit diving. You will earn the SSI Dry Suit Diving Specialty certification after completing this program. As is the norm in wreck and cave diving, sidemount equipment configuration is now being discovered by more and more divers. The simple, pleasant and weightless dive without the burden of the diving equipment to weigh down on the back - who wouldn t want to experience this? This program provides the skills and concepts required to safely and comfortably dive without a designated dive buddy. You will learn about self-reliance, proper equipment maintenance, and the special considerations and rescue techniques required to dive independently. 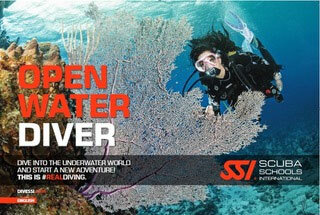 You will earn the SSI Independent Diving Specialty certification after completing this program.